What a joy it is to read God’s word. It is greatly profitable, and digging deep and studying the Bible and the great doctrines of Christianity can bring great blessings. These things are far from boring. They are illuminating, inflaming, and sustaining. I encourage you to dig in! I believe we women are not only able to study God’s word in-depth, I believe we should. It is not too hard, and it is filled with the blessings of growing in the knowledge of God and His will. Learning God’s word allows us to stand in truth and worship in truth. Together with the work of the Holy Spirit, knowing and obeying God’s word helps us to live lives that are more pleasing to Him as we submit to His will. His word can also protect us from or free us from false teachings. My love for studying God’s word goes way back. Before our children came along, there were many nights and weekends when my husband and I dug deep. We studied all sorts of topics about God and faith with books spread out all over the couch or table. There were dictionaries, commentaries, interlinears, Bibles, and parallel Bibles. Those were good times! Who could have imagined that someday we would be able to have all those books in a laptop or PC or hold them in the palms of our hands in apps? It is a great time to be alive and have such access! Through those years and over the next twenty-five, the studies continued; and I had opportunity to gather quite a few notes. 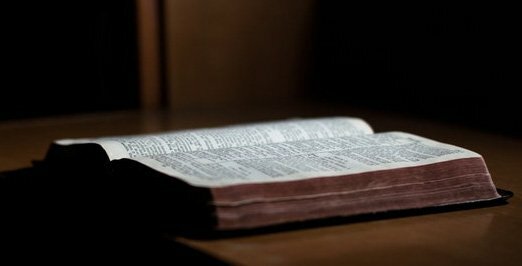 From this page, Bible Notes, you will be able to find articles that contain some of those notes as well as articles I’ve written specifically to post here. Please see the articles listed in the sidebar menu. You may also wish to visit my blog for related posts. As my site develops, Lord willing, you will find more articles on this page about topics like the Trinity and the deity of Jesus, Christians and suffering, election, justification, baptism, Bible translations, and Bible history. Please check back for new articles.